Encapso® K Product Information | Smooth-On, Inc. Specific Volume 28.6 cu. in./lb. How Does Encapso® K Work? 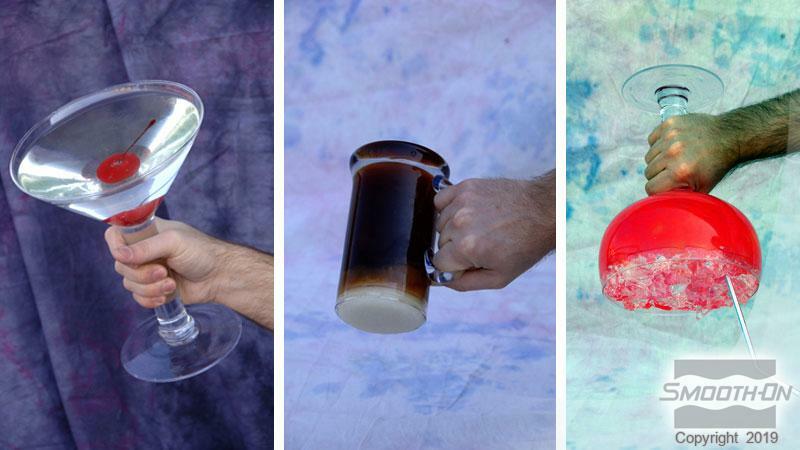 – Two clear liquids (Part A and Part B) are mixed together in equal amounts. 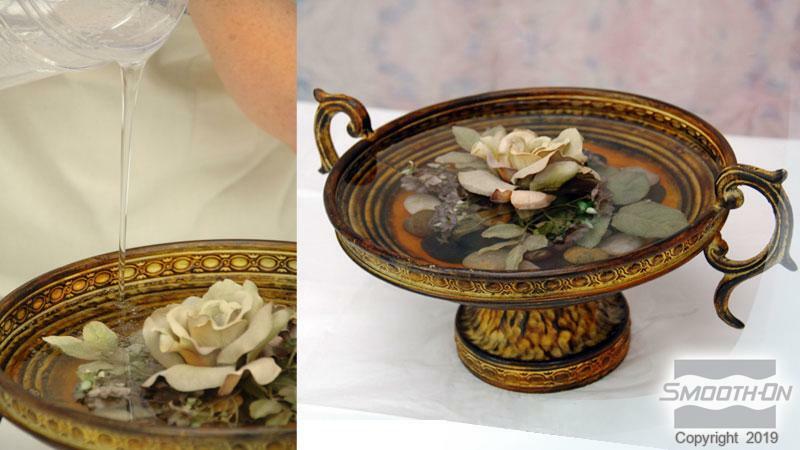 The mixture is then poured around artificial flower stems or over an object. Encapso® K cures to a soft rubber over night depending on casting thickness and conditions (see reverse side of this technical bulletin). When cured, Encapso® K looks just like water and will last a long time. Applications for Encapso® K - This rubber is perfect for encapsulating artificial flower stems for creating lasting floral displays. 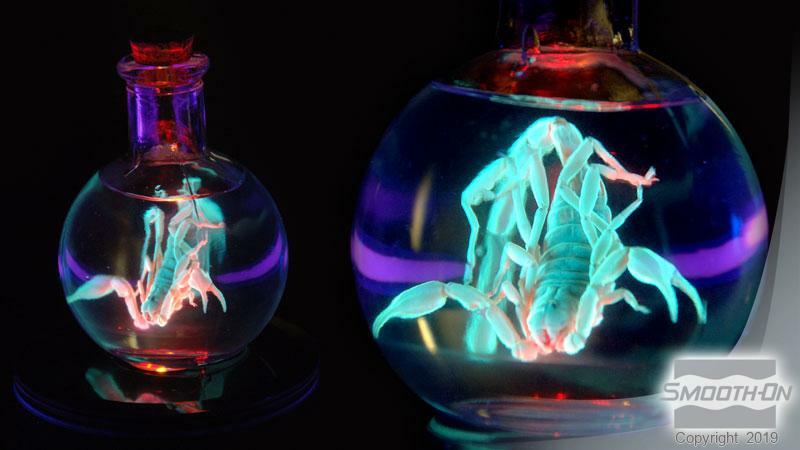 You can also pour Encapso® K around just about any inanimate object to encapsulate for display. You can also create a variety of display props and novelty items. 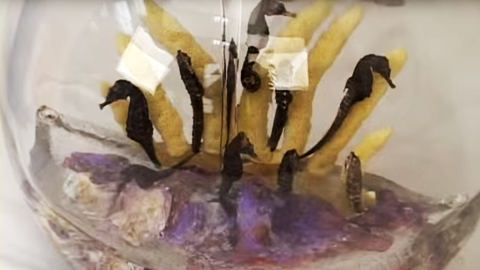 Encapso® K can be used to create water/pond effects for small scale model environments. Fully cured Encapso® K can also be crumbled to look like broken glass, diamonds or ice. Add color to Encapso® K with Silc Pig® color pigments. Safety - Use in a properly ventilated area (“room size” ventilation). 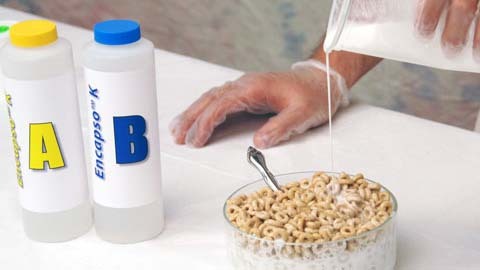 Wear safety glasses, long sleeves and rubber gloves to minimize contamination risk. Wear vinyl gloves only. Latex gloves will inhibit the cure of the rubber. Do not apply this product to the skin. Encapso® K may not cure over objects containing sulfur. If compatibility is in question, a small scale test is recommended. Store and use material at room temperature (73°F/23°C). These products have a limited shelf life and should be used as soon as possible. For Encapsulating Artificial Floral Stems - Arrange / position bedding objects (stones, glass beads, etc.) and flowers in vase prior to mixing material. 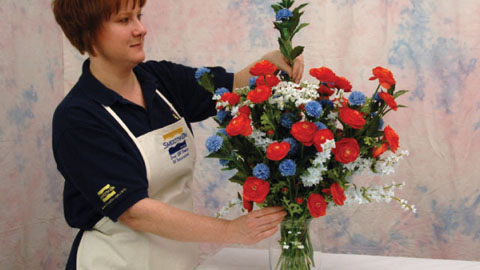 Pouring - Push back flower stems and pour mixture directly into the vase until desired level is reached. Do not let mixture touch side of vase. 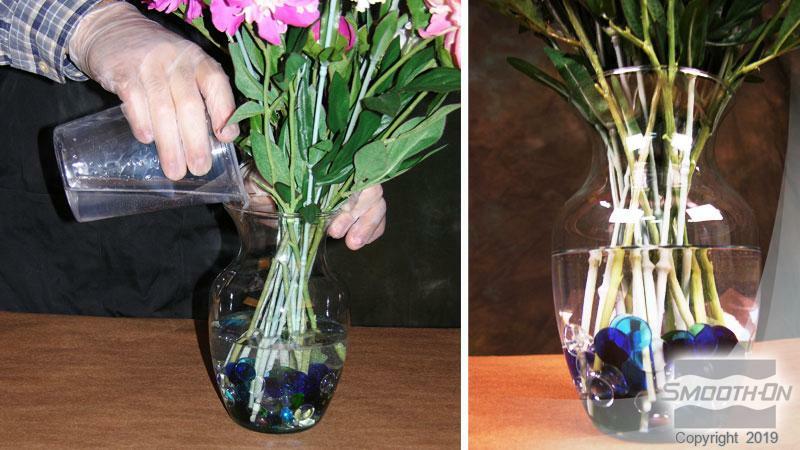 If using a deep vase or pouring at a difficult angle, pouring Encapso® K mixture using a funnel may be beneficial. Reposition flowers to a final arrangement and allow material to cure at least 16 hours at room temperature before handling. Do Not Move Vase For At Least 16 Hours Until Rubber Has Cured. Curing - Let cure overnight at room temperature (73°F/23°C). Do not cure rubber where temperature is less than 65°F /18°C. You can cure the material faster by applying mild heat (150°F/60°C). For Encapsulating Objects: object must be heavy enough not to float in liquid rubber. 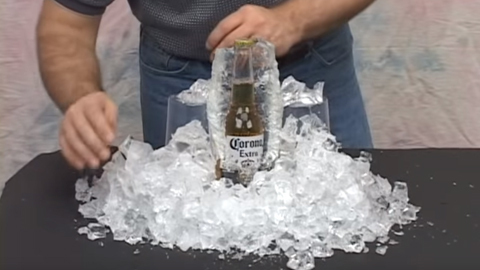 Place object in bottom of a container. Use a container that will allow object encapsulated in Encapso® K to be easily removed once rubber has cured. Center object in container, mix and pour Encapso® K around object and let cure. 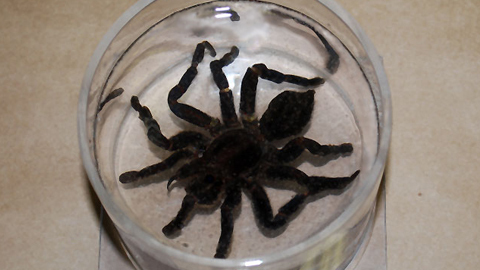 Suspended Encapsulation: object must be heavy enough not to float in liquid rubber. Pour a small amount of Encapso® K in the bottom of your container. Allow material to cure. Position the object to be encapsulated on top of this first cured layer of rubber. 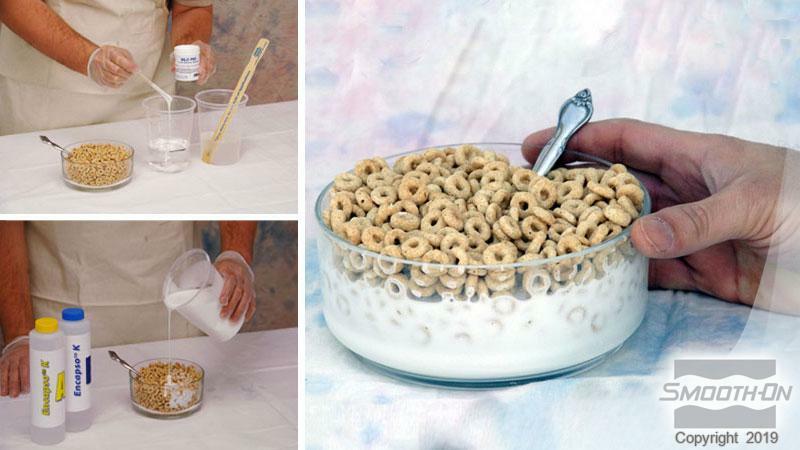 Mix and pour a new amount of liquid Encapso® K over the object. 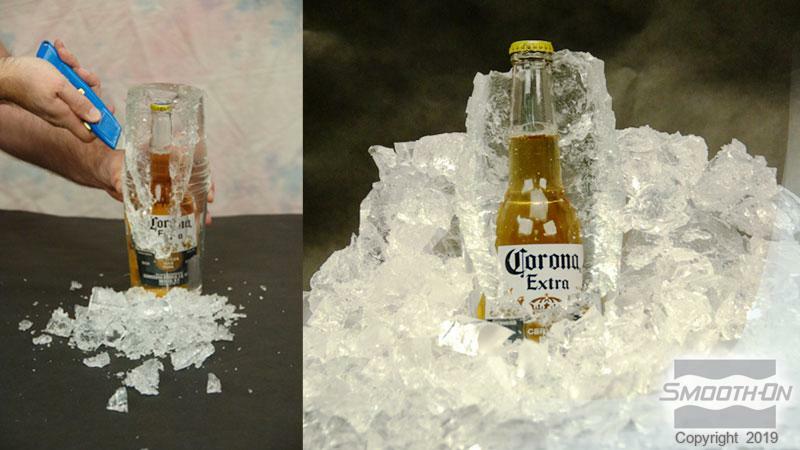 Allow second pour to cure for 24 hours at room temperature. Encapso® K will bond to itself leaving the piece fully encased in a block of clear rubber. Making Fake Ice, Diamonds or Broken Glass - Fully cured Encapso® K can be crumbled to simulate ice, diamonds or broken glass. Simply crumble cured rubber to desired size or effect. Adding Color To Encapso® K - Add a small amount of Silc Pig® color pigment to Part A and mix thoroughly. Combine equal amount of Part B. 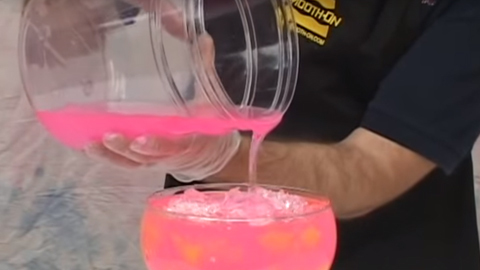 Mix all components and pour. 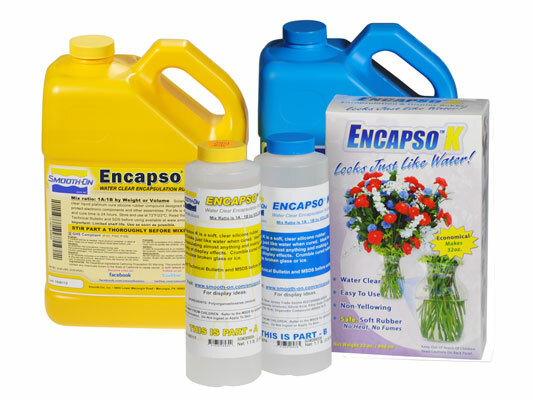 Removing Encapso® K - Fully cured Encapso® K can be removed from flower stems or encapsulated objects. Simply crumble away from encapsulated item. If pouring Encapso® K over a glass object, apply a thin coating of petroleum jelly or Ease Release® 200 release agent before pouring rubber. This video demonstrates using Smooth-On's Encapso® K to create a realistic floral display. 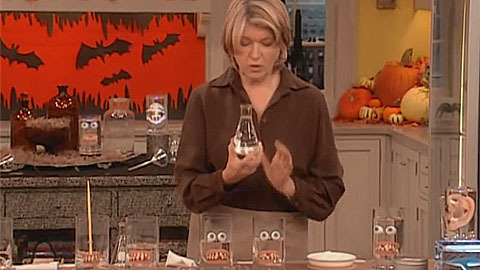 Martha makes prop specimen jars for Halloween using Smooth-On Encapso® K silicone rubber. 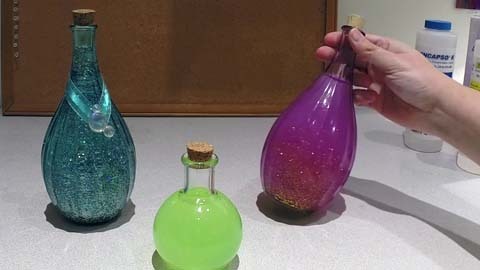 In this video, Smooth-On fan Jara shows how to make fake potion bottles using Encapso-K silicone rubber.